Bidtellect uses the most sophisticated technology and activates in-depth manual processes to ensure fraud protection and brand safety for advertisers. 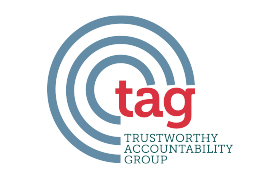 Bidtellect received the Trustworthy Accountability Group (TAG) verification. Bidtellect implemented ads.txt to remain up to industry standards in the fight against fraud. Bidtellect’s Brand Safety targeting solution is powered by ADmantX. This allows advertisers to be sure they are not running their ads next to content that is deemed unsafe for their brand by excluding this inventory from a given campaign. This is a pre-bid solution, meaning the decision is made before we bid on the inventory. 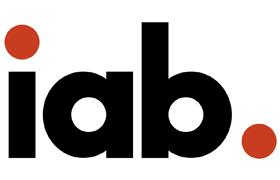 Through continuous page monitoring, ADmantX preemptively identifies questionable and inappropriate web page content that would hurt the reputation of brands if ads were served there, eliminating reliance on post-campaign analysis. What is excluded when Brand Safety is enabled? Page-level information is analyzed by ADmantX across Bidtellect’s supply ecosystem. The following brand safety categories are selectable for exclusion: Accidents, Alcohol & Tobacco, Crimes, Illegal Downloads, Illegal Drugs, Illegal Streaming, Natural Disasters, Parental Protection as well as Negative Feelings and its subcategories. This is completed through our page-level integration with ADmantX, where Bidtellect pings ADmantX with a page URL before an ad is ever rendered. The page is then categorized and classified and ADmantX sends the data back in order to decision on whether or not the page is brand safe and deliver ads accordingly. Your Ads Seen by Real People. Fraud Protection uses a combination of data from Digital Element and IAS to identify user and page-level information across Bidtellect’s traffic. Based on this data, Bidtellect excludes traffic deemed suspicious by these providers from advertisers’ campaigns. This is a pre-bid solution, meaning the decision is made before we bid on the inventory. What is excluded when Fraud Protection is enabled? Suspicious behavioral & network activity. Users that have been cookied as known bots. Native ads are creatives with multiple components that are assembled and delivered in real-time, making it impossible to provide a fraud verification partner with any pre-assembled asset or creative tags. As a solution, we are using the same methodologies to make this determination beforehand so advertisers can be sure their ads are running exactly where they want to be, free of both fraud and brand unsafe environments as measured by these third parties. Lastly, blocking tags become wasteful in an RTB environment because it is necessary to bid on inventory, win the bid, and then block it, so advertisers still have to pay for that impression regardless of whether it passed or not. This is just a peak into how Bidtellect is protecting your brand’s advertising and content. We understand it’s hard to know who to trust, so get in touch today to learn about all the measures we have in place.